W.Bro. Lieut.-Colonel Frederick Victory Henry Lynch, M.B.E. Glittering Star Lodge No. 322 - Glittering Star 322 I.C. Frederick Victory Henry Lynch was born on the 22nd September 1927 and brought up in Eye in Suffolk. His parents were Christopher James Lynch and Alice Elizabeth (nee Woolnough). His father lied about his age and joined the army at only 15, at the start of the First World War, joining the Northamptonshire Regiment as a streacher-bearer, and was wounded by shrapnel at the Somme. At an early age Fred Lynch was known by the nickname ‘Joe’ which was handed down from his father Christopher, although know one knows why. Just after his eighteenth birthday on 4th October 1945, he was conscripted into the Army (his army number was 14075696) at Bury St. Edmunds, which was then the assembly point for the General Service Corps. In November of the same year he was posted to the Depot the Worcestershire Regiment at Norton Barracks. No one could have realised at that time that he was destined to serve with the Army for thirty-four years and rise from the rank of a Private Soldier to a Lieutenant-Colonel. 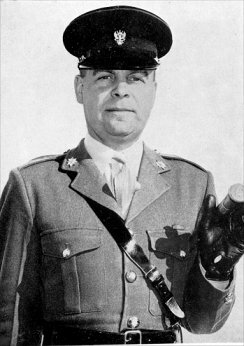 There is a very detailed biography of the career of Lieut.-Colonel Frederick Victory Henry Lynch, M.B.E. on the Worcestershire Regiment website, with many interesting photographs – Lieut.-Colonel Frederick Victory Henry Lynch, M.B.E.